The Wildfox blog is a continual source of inspiration for me. I love looking through Kim's photo's, and when I saw this, I knew I had to draw it! I think the model is called Amanda Booth, and they seem to feature her quite a lot lately. 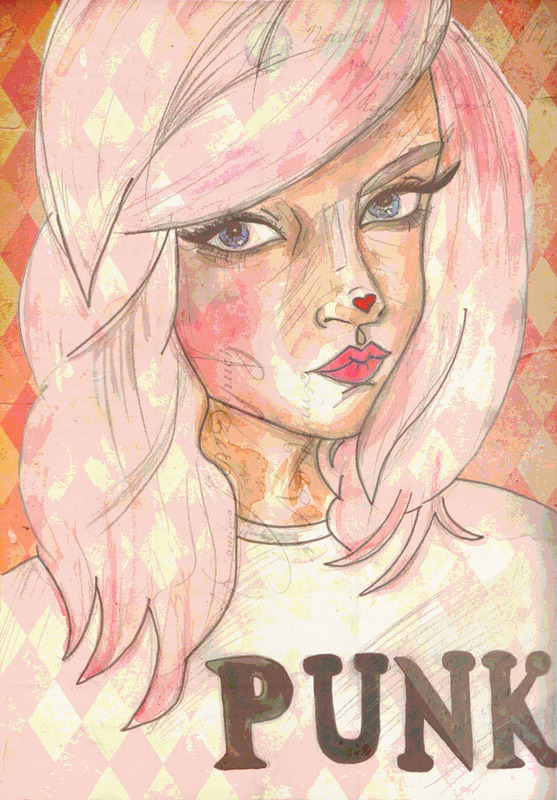 I'm sure many of you are big fans of Wildfox, so I hope you like this. Your art is amazing! love the inspiration! Ahhh I love Wildfox too! I just want to wear all of their collection. WOW! So amazing. I wish i could draw like that!